University of Calabar, #UNICAL acceptance fee payment procedure for the 2018/2019 academic session newly admitted candidates into the university’s NUC and CES programmes. 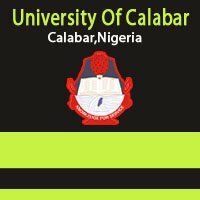 This is to inform all the newly admitted candidates (NUC and CEs programmes) of the University of Calabar (UNICAL) that the management of the institution has released the acceptance fee payment procedure for the 2018/2019 academic session. See also: UNICAL NUC Admission List. UNICAL Acceptance Fee Payment Procedure. 1. Walk into any commercial bank nationwide and University of Calabar Micro Finance bank. 2. Make payment for University of Calabar acceptance fee payment on E-tranzact. 3. Collect an E-tranzact printout from the bank. 6. Type your Jamb registration number/ CES form number, Phone number and the confirmation order number on the E-tranzact printout from the bank to generate your acceptance fee receipt. 7. Printout your acceptance fees receipt. 8. Proceed to your department for screening before payment of school fees.